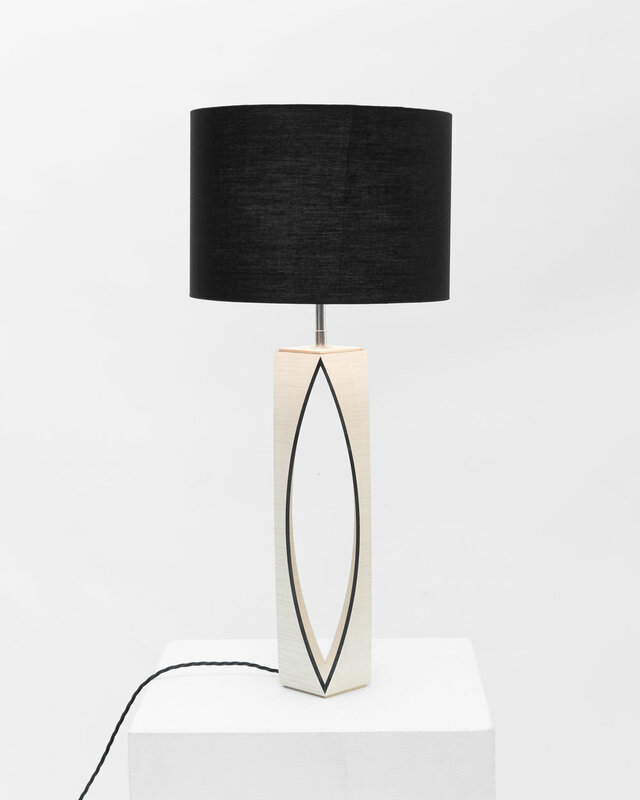 The components of the Venus table lamp outline the ancient symbol for the Goddess Venus who represents love and fertility. Also known as the vesica pisces, this almond shaped symbol represents the womb and also appears in gothic architecture and Christian artwork. When viewed from different angles the lamps form alters its appearance from curvaceous to columnar. The Venus lamp is available in a variety of timbers and edge colours that can be matched to existing furniture and colours within a space. 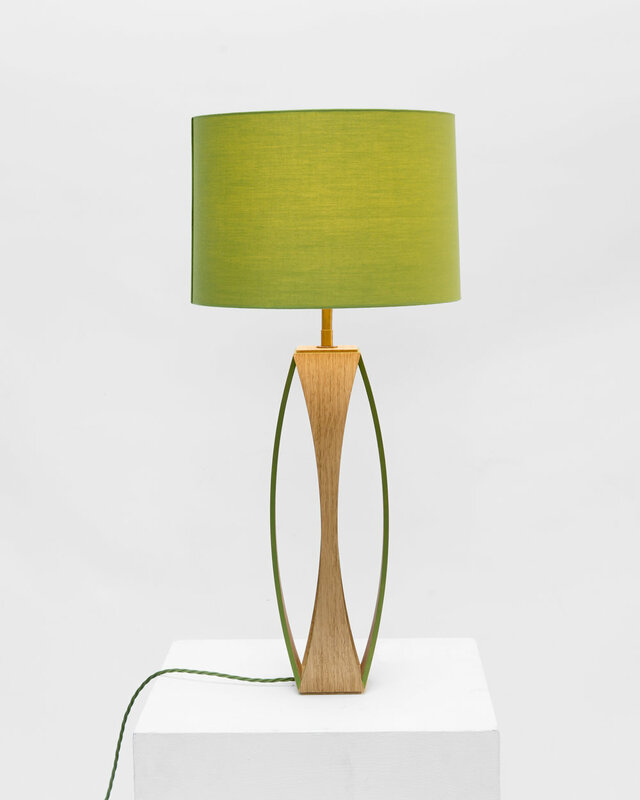 The twisted cable is cleverly hidden within the thin structure of the lamp body so that it does not interfere with the clean lines of the design, its colour is selected to compliment the shade colour.